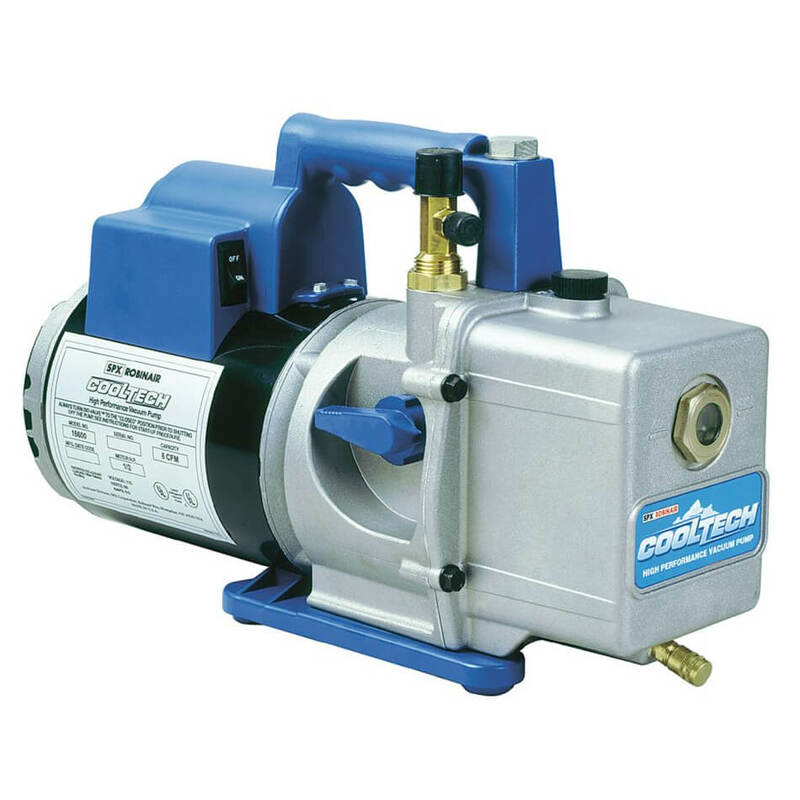 Robinair 15400 CoolTech Vacuum Pump is specifically engineered to meet your HVAC a/c maintenance needs and to give you trouble-free operation. 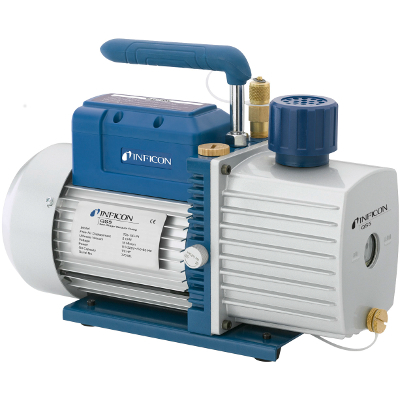 Take advantage of our years of experience and know-how developing pumps to help you do your job faster and better. 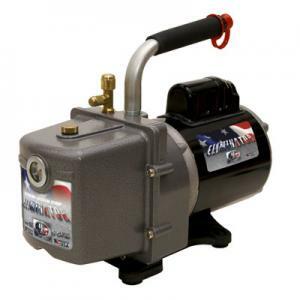 NO HASSLE WARRANTY - All Robinair Vacuum Pumps are backed by our exclusive -No Hassle- over-the-counter replacement warranty. You can return a pump to your Robinair distributor, within the first year, for an immediate exchange with no hassle! (See product for details). Designed for use on A/C-R systems using CFCs, HCFCs, and HFCs in conjunction with mineral oil, ester oil, alkylbenzene oil and PAG oil as lubricants. Do not use with ammonia or lithium bromide systems; not for use with flammable refrigerants. 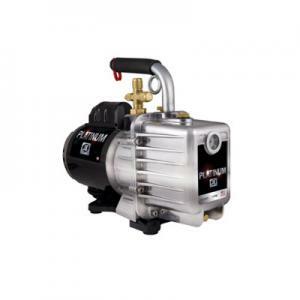 This Robinair 15400 hvac vacuum pump is 4CFM, Two Stage, 110V.